"...out of the ground and into the light, a child of the sun." 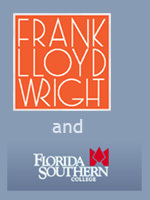 Frank Lloyd Wright describing work at Florida Southern College. The architecture of Frank Lloyd Wright on the campus of Florida Southern College in Lakeland, Florida, is a little known Central Florida treasure. Florida Southern College (FSC) has the largest concentration of Wright designed structures anywhere in the world with 10 buildings and two additional structures on campus, and is in the National Register of Historic Places. Shown above is the southwest campus entrance at Lake Hollingsworth Drive and Johnson Street. Ludd M. Spivey was FSC President from 1925 to 1957. 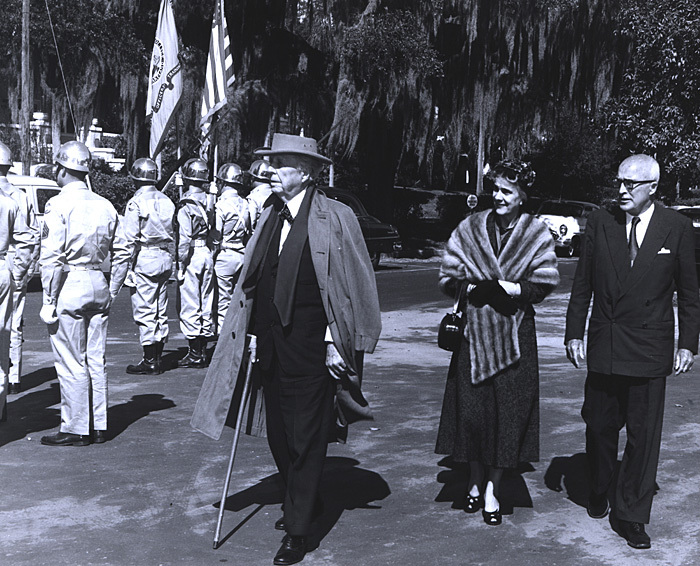 In the midst of The Great Depression, Spivey envisioned a "college of tomorrow" as one part of a plan to build college enrollment which had been hit hard by The Depression. Spivey visited Wright at his Wisconsin home in 1936 and proposed that the world famous architect design the Methodist college campus. 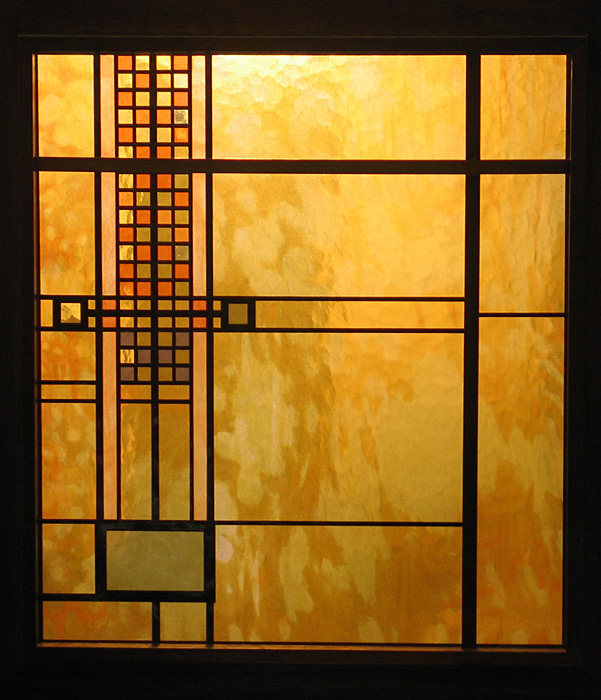 The two men's dreams came together with a handshake, and Wright began design immediately. In 1938 ground was broken for the first building. Sixty-nine years old when he began his work at FSC, Frank Lloyd Wright was world renown and at the peak of his career. Many considered him then to be the greatest living American architect. The Johnson Wax Building and the famous Fallingwater house were recently completed, and Wright appeared on the cover of Time Magazine on January 17, 1938. This website is organized chronologically and by building and structure. Click on the link below to go to the next page. The content of this website is owned by William B Carpenter. All images and text on this site are the work of William B Carpenter unless otherwise noted. Copyright © 2005 William B Carpenter - All rights reserved. Historical images courtesy of Special Collections, Florida Southern College Library, Lakeland, Florida. Some historical images are from The Interlachen, Florida Southern College Yearbook. All rights reserved.